Old spooks carry the memory of tradecraft in their bones, and when Solomon Dortmund sees an envelope being passed from one pair of hands to another in a Marylebone café, he knows he’s witnessed more than an innocent encounter. But in relaying his suspicions to John Bachelor, who babysits retired spies like Solly for MI5, he sets in motion a train of events that will alter lives. 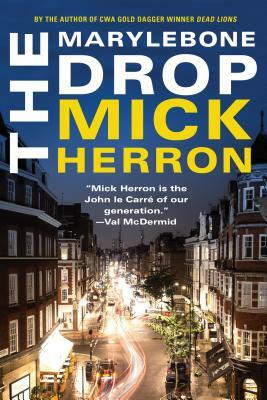 Mick Herron is a British novelist and short-story writer who was born in Newcastle and studied English at Oxford. He is the author of six books in the Slough House series, four Oxford mysteries, and three standalone novels. His work has won the CWA Gold Dagger for Best Crime Novel, the Steel Dagger for Best Thriller, and the Ellery Queen Readers Award, and been nominated for the Macavity, Barry, Shamus, and Theakstons Novel of the Year Awards. He currently lives in Oxford and writes full-time. "Mick Herron is a master."